Fructose malabsorption (FM), or also called dietary fructose intolerance (DFI), is a digestive disorder in which the absorption of fructose in the small intestine is impaired. This leads to several abdominal symptoms like bloating, pain, and cramps. For a long time, the public didn’t know of that disease and physicians often overlooked it. Today we know, that almost 30% are suffering from some kind of fructose malabsorption. 30% of these people show the typical symptoms. Fructose malabsorption is often called “fructose intolerance”. This is misleading, as there is also a disease called hereditary fructose intolerance (HFI). More about that later. Also, it is no fructose allergy, as some people may guess. What is wrong in case of fructose malabsorption? What can cause fructose malabsorption? How to treat fructose malabsorption? Now, some facts about fructose, what it is and how the human body (usually) absorbs it. Fructose is a naturally occurring sugar, a so-called monosaccharide or a single sugar. It belongs to the pooly absorbable short-chain carbohydrates, also known as FODMAPs (Fermentable Oligosaccharides, Disaccharides, Monosaccharides, and Polyols). 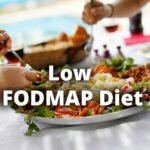 Lactose, fructans, sorbitol, and mannitol are further examples of FODMAPs. You can find fructose in most fruits, honey, some vegetables and in table sugar (sucrose). As it is sweeter than glucose, it is unfortunately used in many processed foods and beverages, although it is no essential nutrient for a human. The first way is slow but specific for fructose. Fructose is normally absorbed along the entire small intestine with the aid of a specific protein called GLUT5. The second is fast but occurs only together with glucose, which acts as a “piggyback” transport. A rule of thumb states that one molecule of glucose enables absorption of one molecule of fructose. This means, that fructose in excess of glucose is potentially malabsorbed if the GLUT5 fructose transporter is not efficient enough or the transit of fructose along the small bowel is too fast. In case of fructose malabsorption the GLUT5 transporter is impaired, such that fructose is absorbed along the small bowel only to a limited extent. The remaining fructose reaches the colon and gets rapidly fermented by intestinal bacteria, as shown in the figure. Bacterial fermentation finally results in the formation of hydrogen, carbon dioxide, methane and short-chain fatty acids (e.g. butyric and acetic). I guess you already know, what kind of symptoms these products probably cause. But more about that in a moment. Furthermore, untreated fructose malabsorption leads to a proliferation of intestinal bacteria and yeast, which metabolize the fructose. This worsens the symptoms over time. The amount of tolerated fructose varies greatly among fructose malabsorbers. Some people may be able to ingest small amounts of fructose without experiencing any problems, while others show symptoms even after tiny amounts. The main symptoms may be similar to the often diagnosed irritable bowel syndrome (IBS). But please notice, that IBS only stands for the occurrence of multiple symptoms, including abdominal pain and changes in the bowel movements, and not for a specific disease. In several studies, early signs of mental depression and low serum levels of tryptophan walk along with fructose malabsorption. 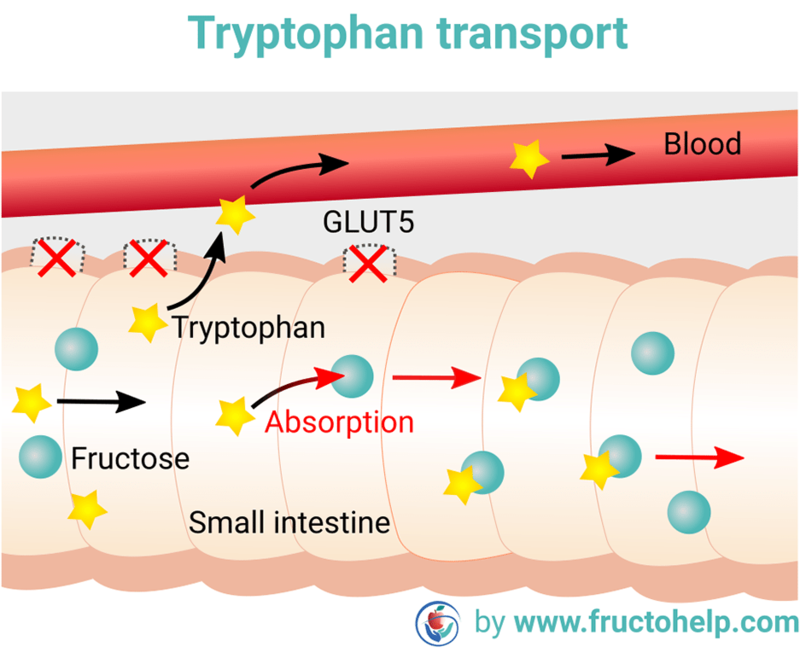 Unabsorbed fructose bonds with tryptophan and makes it unabsorbable, as you can see in the following figure. Low levels of the amino acid tryptophan can lead to a depressed mood or irritability, as it is essentially required to produce serotonin, which is a hormone that improves and regulates our mood [1-3]. The good news are, if you are feeling depressed and fructose malabsorption is really the only cause, a low fructose diet will likely remove your depressive states. Besides fructose malabsorption, which can occur suddenly and as a result of external influences, there is also another fructose-related disease. It is called hereditary fructose intolerance. In contrast to fructose malabsorption, which is based on an impaired GLUT5 fructose transporter, hereditary fructose intolerance is an extremely rare life-threatening disorder of the fructose metabolism within the human body. HFI is usually diagnosed in early childhood. A genetic defect causes a deficiency in the fructose-1-phosphate aldolase B activity. This deficiency leads to accumulation of fructose-1-phosphate, a derivative of fructose, within the liver. And this, in turn, causes severe toxic symptoms after fructose ingestion, such as serious hypoglycemia with tremors, vomiting, and disorientation. In the worst case, it can lead to convulsion and coma. You see, symptoms of fructose intolerance differ significantly from ours. We can even be happy, having fructose malabsorption and not HFI, as there are several effective ways to handle our impairment. First, there is some xylose isomerase supplement which acts as a temporary cure for fructose malabsorption. Whenever you take it, you can eat everything you crave for a certain time. 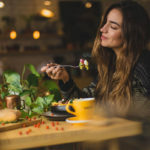 Second, there is a special Fructose Malabsorption Diet, which is a low FODMAP diet with fewer restrictions, for reducing your symptoms and, in some cases, restoring normal gut function. I recommend to read the diet first, and then head over to my Fructose Malabsorption Food List, Tips, and Helpful Resources pages. can lead to intestinal damage, which may cause fructose malabsorption. For example, if you are living in a room with extensive mold, you are exposed to environmental pollutants. There are also several diseases which can also lead to fructose malabsorption, such as the celiac disease. Now, you can figure out which of these causes may fit your case and what you can change in your environment. Ledochowski M, Widner B, Bair H, Probst T, Fuchs D. Fructose- and sorbitol-reduced diet improves mood and gastrointestinal disturbances in fructose malabsorbers. Scand J Gastroenterol 2000;35(10):1048-52. Ledochowski M, Sperner-Unterweger B, Widner B, Fuchs D. Fructose malabsorption is associated with early signs of mental depression. Eur J Med Res 1998; 3(6):295-8. Ledochowski M, Widner B, Murr C, Sperner-Unterweger B, Fuchs D. Fructose malabsorption is associated with decreased plasma tryptophan. Scand J Gastroenterol 2001; 36(4):367-71. Ledochowski M, Überall F, Propst T, Fuchs D. Fructose malabsorption is associated with lower plasma folic acid concentrations in middle-aged subjects. Clinical Chemistry 1999; 45(11):2013-14. Gibson P R, Newnham E, Barrett J S, Shepherd S J, Muir J G. Review article: fructose malabsorption and the bigger picture. Alimentary Pharmacology & Therapeutics 2007; 25(4): 349-63. Ushijima K, Riby J E, Fujisawa T, Kretchmer N. Absorption of fructose by isolated small intestine of rats is via a specific saturable carrier in the absence of glucose and by the disaccharidase-related transport system in the presence of glucose. J Nutr 1995; 125(8):2156-64.